The history of the Local Initiatives Factory Association is the history of individual places and the changes they have undergone. Zapraszamy na spacer po historycznym Nikiszowcu. Nikiszowiec provides an example of a so called patronage estate – a type of estate usually built by a patron-employer for his workers, most often employed in mines or smelters. Being an industrial region, the Upper Silesia has about 200 such housing estates. Yet, Nikiszowiec is an unique example – and that is because of its spatial layout, a scale of the architectural project and an almost entirely unchanged shape. Moreover, until recently, that is until March 2018, it was also the unceasing functioning of the Mine which made the place stand out from the other districts. Nikiszowiec was by designed by Emil and Georg Zillmann, the architects from Charlottenburg, who were also creators of the built environment in Giszowiec, as well as numerous other remarkable buildings in the Upper Silesia. The development of the estate took place between 1908-1919, when Giszowiec ran short of residential place for the workers. It was designed in such a way as to fulfil not only housing functions, but also the most significant needs of its inhabitants, constituting a kind of self-sufficient city. Therefore, a church, hospital, school, kindergarden, inn, shops, laundry and drycleaner's with a mangle room, bath house, and many other public facilities were also constructed. The complex consists of nine red-brick buildings, linked with one another, which form large squares with interior yards, where the residents had at their disposal pigsties, sheds and furnaces for baking bread. The central place of Nikiszowiec is a market square, dominated by an impressive, Neo-Baroque St Anne’s Church. The whole estate forms an ordered, geometrical unity, creating an outstanding structure, which can be admired also from the bird’s eye view. Anyone who wants to see Nikiszowiec from that perspective should have a look on a model of the estate located opposite to the entrance to St Anne’s Church. Nikiszowiec housing estate was created for the workers of “Giesche” coal mine, later “Wieczorek”. It was named after the “Nikisch” shaft, which started to operate at the beginning of the 20th century, today “Poniatowski” shaft,. The shaft lready closed; in the future it may become a tourist attraction as a part of the Katowice History Museum). Although Nikiszowiec did not avoid the turbulent events of the 20th century – the estate survived in an almost unchanged state and many of its residents are people living here for generations. Hence, the history of Nikiszowiec is the history of individual persons – remarkable figures who have greatly influenced the development of the estate and the life of its ordinary inhabitants. It is also tradition – predominantly marked by the church and the mine. Every year, on Barbórka (St Barbara Day), in the very early morning, the Brass Band of the “Wieczorek” Coal Mine marches through the streets of Nikiszowiec. A relatively new tradition, though referring to the Miner’s Day and gradually becoming an intrinsic part of the recent history of Nikiszowiec, is Jarmark na Nikiszu (Nikisz Fair), organised since 2008 at the first weekend after Barbórka. 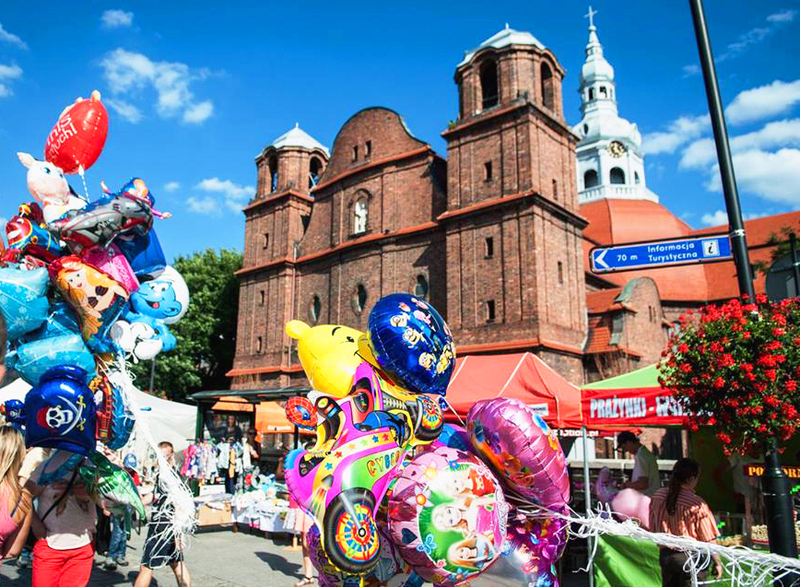 The next event rooted in the local tradition is St Anne’s Church Fair – St Anne is the patron of the church in Nikiszowiec, which is held on the last Sunday of July. However, the celebrations are not restricted to the church services, but last the whole day thanks to Grandmother Anne’s Fair (Odpust u Babci Anny) – a secular feast addressed to both the residents and tourists. The significant part of the recent history of the place is ArtFair (ArtJarmark), which is the open air art fair linked with Art Naif Festival the International Festival of Naïve Art. Anyone who would like to see how people used to live in Nikiszowiec many years ago should visit Katowice History Museum, City Ethnology Department, where one can explore, among many other noteworthy things, the exhibition “U nos w doma na Nikiszu”. The museum is situated in a historic building of a former laundry room and a mangle; the entire process of washing procedures in Nikiszowiec at the beginning of 20th century is explained on another exhibition. Despite the first impression, Nikiszowiec is by no means a historic museum but a lively place which is developing and constantly changing. The 2018 closure of the mine – the patron of the estate – undeniably marks the end of some era; however, at the same time it is the moment of an increasing interest in Nikiszowiec among tourists, investors and new residents. There is no doubt that a new chapter in the history of the estate has opened. There are very few places in Poland where one can experience such a great and intensive transformation as the one which has become a part of the recent history of Nikiszowiec. For many it is a place of the already completed revitalization, but still a lot is to be done. A turning point for Nikiszowiec was 2008, when, following the celebrations of the 100 th birthday of the estate, our animators started to invigorate the local community, giving it strength and tools for change. The process was accompanied by the rise in the activity of the institution and establishment of the first local social organizations as well as media interest. Our actions in cooperation with the local community have brought changes in a way of everyday life, which has become safer and calmer, and in result formed the basis for economic development. The space has also undergone transformation, and thus today it fosters integration and makes it easier to organize bigger cultural events. 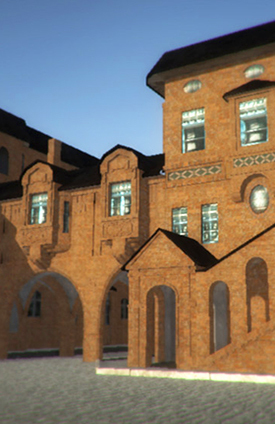 The success of Nikiszowiec and our influence on its development are connected with the professional approach to animation, to building cross- sectoral partnerships, education and diagnostic activity, but above all – to revitalization, which – according to its definition – has penetrated social, economic and spatial sphere. The revitalization of Nikiszowiec is presently a well-running mechanism, in which all these spheres penetrate and complement one another, bringing energy to the estate itself and its residents. Moreover, they also instil all those who visit Nikiszowiec with great amount of energy! The uniqueness of Nikiszowiec was also formally confirmed. The urban spatial layout of the estate was included in the register of historic monuments in 1978. The application „Virtual Nikisz” was created specially for those who have not yet visited Nikiszowiec, but also for those who know this place very well. And all this to create an opportunity to travel back in time for a while and see how much Nikiszowiec has … not changed. The author of the application is 8Bit Studio. In the future further work on the application is being planned, including its rebuilding. The application is available under the license CREATIVE COMMONS (CC-BY-NC-ND). In order to run it easily you need a fast graphics processor (GTX 660 or similar ones are recommended) and broadband Internet connection. Grandmother Ann’s Fair is the second, after Barbórka (St Barbara Day), most important feast for the residents of Janów and Nikiszowiec. Organized on the day of the patroness of the church in Nikiszowiec, it could be associated with a religious holiday. Yet, in fact, Grandmother Ann’s Fair, held since 2009, is an event for everyone – it is a colourful fair, a feast of the estate, which is visited by both the residents and guests from other parts of the city and the region. 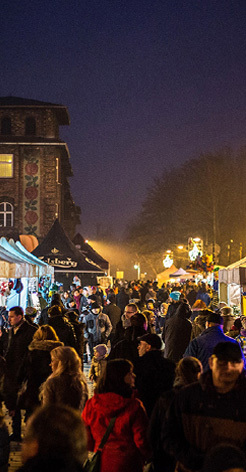 On this very day Nikiszowiec marketplace, together with the adjacent streets, are filled with stalls with handicraft and local specialities. The inhabitants and tourists are also drawn by such attractions as “keciok”, that is an old- fashioned chain carousel, open air painting, cultural events and family games. 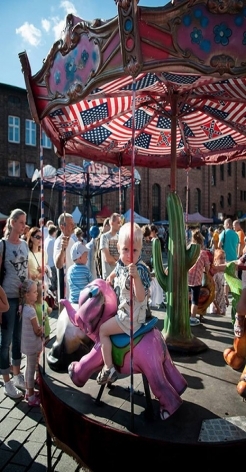 Although Grandmother Ann’s Day is only a one-day event, its unique atmosphere and local vibe result in more and more people visiting it year on year, making it a summer edition of winter Nikisz Fair. 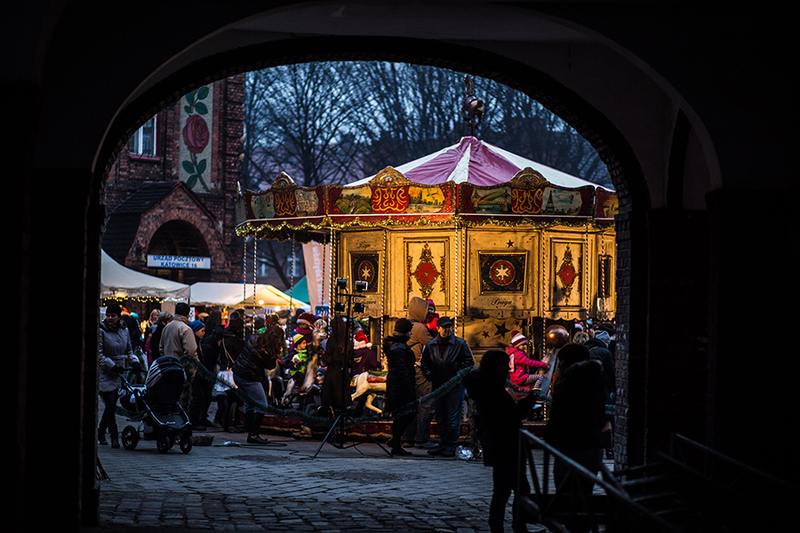 Nikisz Fair (Jarmark na Nikiszu) is one of the most recognizable and best reviewed Christmas markets in the southern Poland.